Lasers are an advanced treatment option for many kinds of skin disorders including scars. 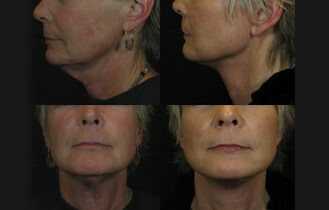 Scars can be diminished and removed with laser treatments at Reviance Portland®. How Can Laser Scar Removal Help Me? With laser scar removal, you will be proud to show off your new, scar free skin. Laser treatment works by penetrating into the deeper layers of the skin to stimulate new collagen growth. To learn more about laser scar removal in Vancouver, call our Reviance Portland® staff today to schedule your laser treatment consultation. How Much Does Laser Scar Removal Cost? The cost for laser scar removal will depend on the size and depth of your scars. Our Reviance Portland® staff will be happy to discuss your pricing and financing options at your initial consultation. Click Here to See Our Laser Scar Removal Before and After Photos!